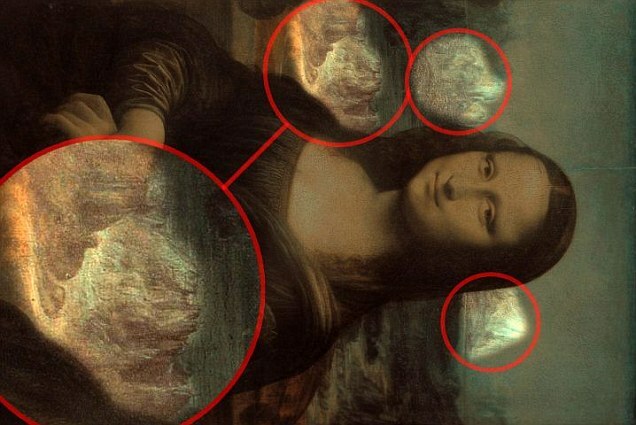 An artist claims to have cracked a 500-year-old mystery surrounding the Mona Lisa - by spotting a series of zoo animals hidden in the painting. Ron Piccirillo believes it is possible to see the heads of a lion, an ape and a buffalo floating in the air around the subject's head along with a crocodile or snake coming out of the left hand side of her body. Is it coincidence or deliberate attempt by Da Vinci to do so? Reed full story for details / photos Here.